See some early editions of Shakespeare's plays along with a selection of related books and manuscripts. You can also find out more about the collections and build your own Shakespeare scrapbook. Our Showcase contains a selection of original material. 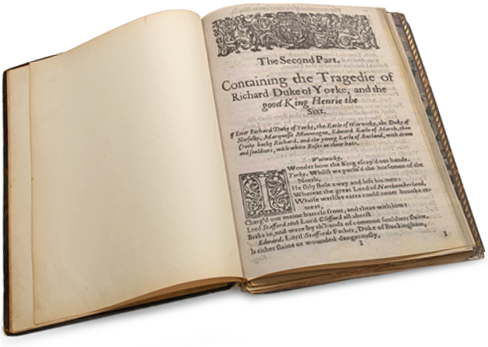 You can read early editions of Shakespeare plays, including quarto playbooks and extracts from the First Folio of 1623. Some were annotated by editors and others used as prompt copies in 17th-century theatres. You can also see the Shakespeare scrapbook created by James Orchard Halliwell-Phillipps which inspired our Shakespeare scrapbook activity. Build your own Shakespeare scrapbook and see scrapbooks created by other people. 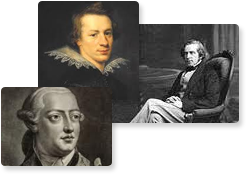 Find out about the people who built these collections, which are now housed at the National Library of Scotland and the Library of the University of Edinburgh.